As you saw in our article CRM Import/Export Guide, you can also export a specific customers' items. 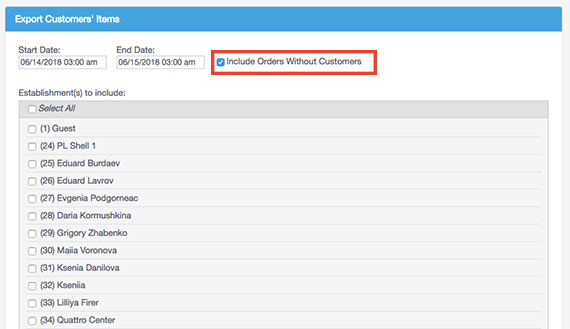 This gives you a record of all orders and items purchased by a single customer. 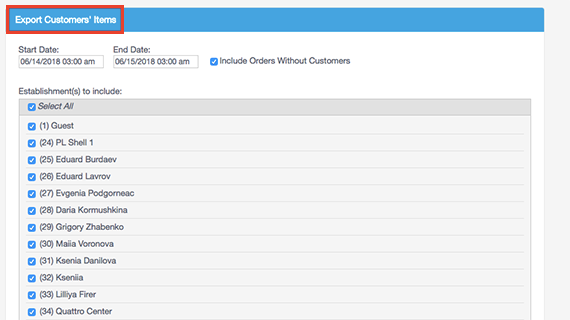 You can export one customer at a time, or do multiple customer exports at once. Let's take a look at how to export your customers' records! Log into your Management Console yourdomain.revelup.com, and navigate to the CRM by clicking the link in the menu at the top of the page.